Beautiful hardwood from around the globe! Brazilian Cherry, Santos Mahogany, Tigerwood, we've got them all! 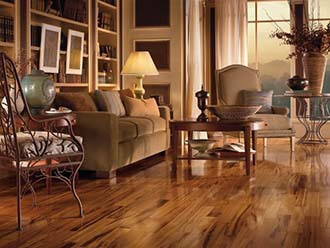 Harman stocks a full line of all your favorite exotic hardwood species. Browse our line of exotic flooring options using the Hardwood Wizard here. Or stop into our showroom today!